To make the Apple Slaw, squeeze the grated apples in a couple of clean paper towel to remove extra moisture. Mix the apples with the cinnamon, cayenne, lemon juice, oil and salt and set aside for a few minutes to allow the flavors to mingle. Mix the butter and jelly together, and spread on both slices of the sandwich bread. Pile on the turkey and top with the apple slaw. 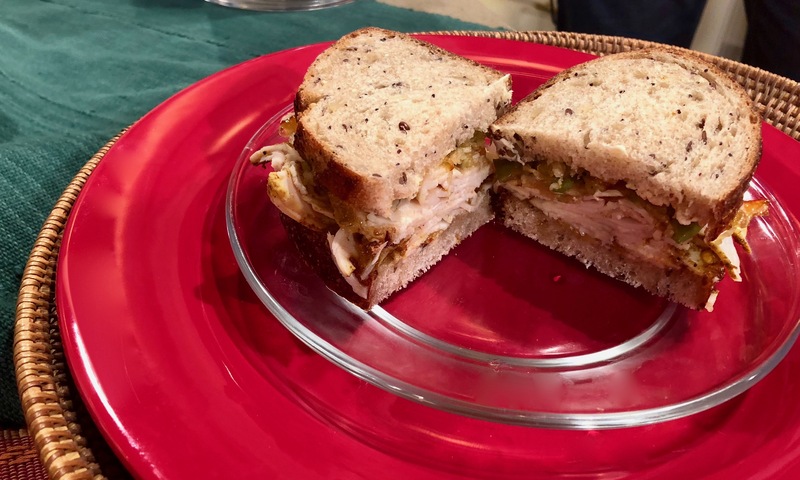 A *Turkey sandwich is one of my my go-tos for comfort food, and I love to switch it up when it comes to flavors – Cajun, Blackened and Smoked Turkey are some of my favorites. 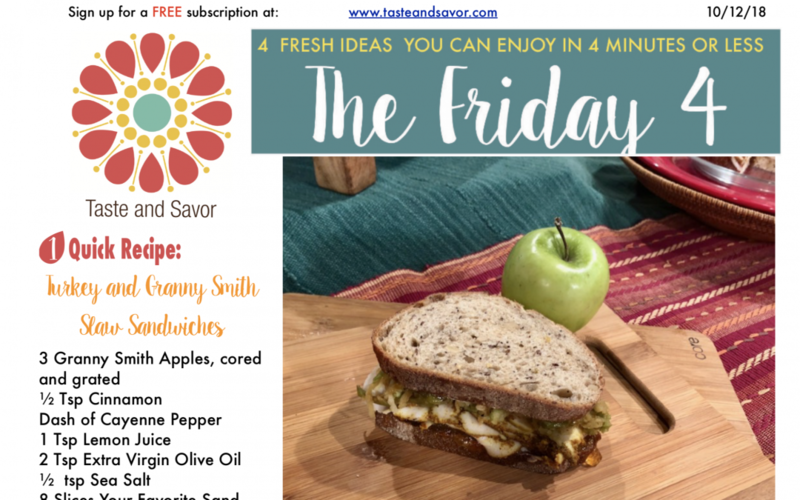 If you are looking for a wine that smells like the freshness of just picked grapes, this is a bottle to snag – its fruit-forward, ripe and crisp just like the tart apple and sweet apple jelly we are enjoying in this week’s easy, delicious turkey sandwich. Full bodied, the flavors of tropical and stone fruits like peaches and nectarines shine when uncluttered by oaky flavors. When roasted poultry is on the menu, unoaked chardonnay is an excellent match.